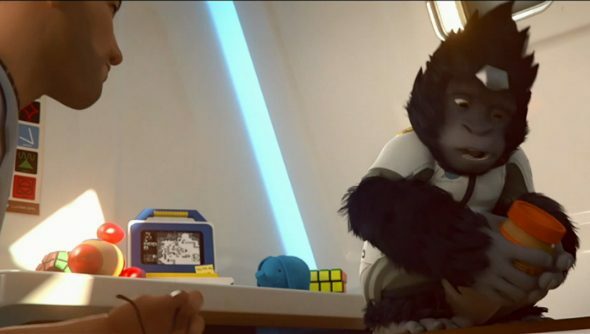 Overwatch’s first animated short has been released, focusing on the memories of genetically-enhanced primate Winston. To see what else Blizzard has in store for the characters of Overwatch, here’s what they said at BlizzCon on their Overwatch animated shorts and comics. Blizzard promised to reveal the story of Overwatch through outside media, teaming up with director Jeff Chamberlain to make the first cinematic trailer for the game shown at BlizzCon two years ago. Comics and animated shorts are the chosen method, reminiscent of Valve’s fleshing out of the Team Fortress 2 cast in “Meet The…” class videos.A six-issue series of free digital comics are also being released in the lead up to the game’s launch, each focusing on a different hero, with a graphic novel to be self-published by Blizzard in the future. The first debuting in April tells the story of vigilante gunslinger McCree.